New arena, wacky antennas and customizations, and lots of new goodies added for the second birthday bash. Rocket League turns two years old in two days, and as promised, Psyonix is rolling out the anniversary update at 3 p.m. PT / 6 p.m. ET today to go along with the cake, ice cream and balloons. And making a special appearance with that clown from you nightmares will be Rick and Morty. The Adult Swim cartoon duo will be appearing as antenna upgrades in the free update along with other common drop show-themed customization items, such as Cromulon, Mr. Meeseeks and Mr. PBH toppers, Interdimensional GB rocket boost, and Sanchez DC-137 wheels. A new free arena, called Champions Field, is also part of the update. 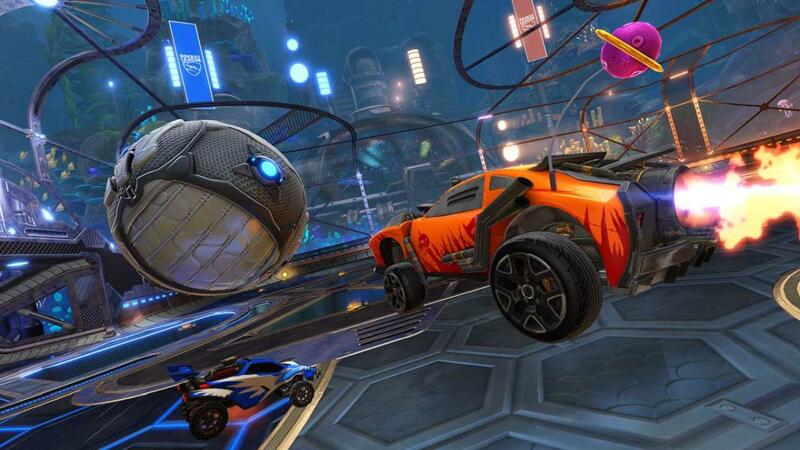 The game has grown tremendously since its 2015 launch, boasting more than 30 million Rocket League players as of April. Rocket League for Nintendo Switch will be coming sometime this holiday season.